Tata Sky does it again, manipulates the users ! Bought tata sky in SEPTEMBER 2007 with the scheme of 6months free for Rs.4000. Thinking that all the channel will be available. After that Tatasky started reducing the no. of channels by putting tem into packages like lifestyle silver life style gold , sports package etc.for this you have to pay more (appx. 40-50rs per package)This is making fool out of people. Buy reducing their price to Rs.260/ they have infact increased the price.For example.. If I opt for Super saver pack it would cost me Rs.260. without the channels which are in lifestyle silver and life style gold and sport gold pack. Now if I want to see all the channel I have to pay Rs.30 per package that make another 90Rs for all 3 packages so the total comes to RS260+90=350per month.And all the packages have some important channels like lifestyle silver has BBC in it. And what about the people who bought tatasky under diff. scheme. Like I bought it under 6months free. Tata sky is chor . I am getting it removed Secondly there is a lag in tatasky. And also some stupid numbers keep on apprearing right in the middle of the screen. Now TATA Sky has reduced monthly subscription to 260 rupees a month but have debundled the sports channels, so you pay 40 per month extra for ESPN,Star Sports and Ten Sports for the Sports platinum pack, and then there is a Sports gold pack with the Neo Sports range of channels, and then Ten Sports is available a la carte now. Utter nonsense ! Then is the Lifestyle pack, here also we have lifestyle gold and silver which again cost you around 30 a month i think. 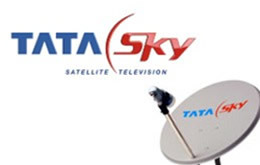 Tata Sky Ltd. reserves the right to add or drop a channel/ package/ service from any package and/or change the package rates. Tata Sky is playing with its customer’s emotions by doing all this. If a consumer wants all channels, he is forced to pay around 400 or greater. Cable TV operators charge much lesser for displaying all channels and their signal is uninterrupted by rain. Lets hope some random person from Tata Sky reads this page and instills some sense into various PR and cost people drawing salary from the Tatas who were one of the most trusted brands for me (notice the past tense). Update : Meanwhile ESPN Star Sports has taken out a notice in the newspapers about this action of Tata Sky and has promised action against the broadcaster Tata Sky. It has condemned the yanking off of its channels and reminded people that they will miss French Open , F1 and other sporting events. Also they have said that they did not hike their subscription fee. Looks like ESPN-Star Sports is gonna sue Tata Sky ! Recently I fell for a TATA brand when I took subscription of TATASKY .While they offered the worst packages, Ihad no choice because , my first choice , AIRTEL could not get a clear line of sight . And that has started my woe list. I took the FAMILY Pack , Lifestyle Gold and ESPN Star Sports . Was rudely shocked when I could not change the language option to English for channels like NGC , Discovery , CN , Disney, etc. I thought I had paid for the channels / not the langauge !!! When I spoke to their technical team in Pune , they said that the broadcaster does not give English as an option. After probing further , they admitted that , it was because of the Family Pack and the language option would be available for the Super Saver Package . I have checked the website and there is no such information . I was not informed when I opted for TATASKY by the customer service executive . I think that this is against my right to language , and TATASKY cannot filter what language will be available to me if I have paid for channels in a particular package .